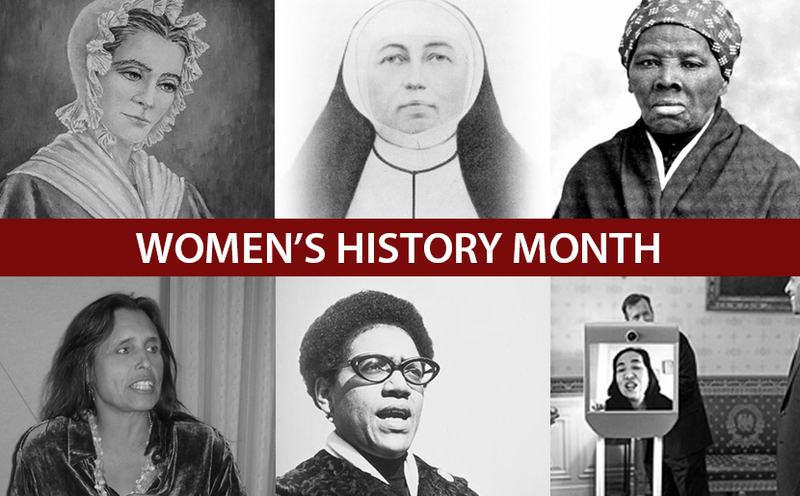 Though Women’s History Month celebrates the often ignored accomplishments of women, it’s important to recognize all types of women achievement. If we’re not careful, by including one group of women and excluding another, we can actually create further marginalization. This Women’s History Month, I challenge you to think about a term coined by Kimberlé Crenshaw, a civil rights activist and full-time professor at UCLA School of Law and Columbia Law School— intersectionality. For example, the difficulties facing a black queer woman are different than those facing a white straight woman. Although she originally developed the term to explain the difficulties that were specific to black women and other women of color, the definition of the word now includes multiple areas of identity such as sexuality and disability. Intersectionality is vital because when events or movements intend to uplift “all women” there is often a lack of awareness that not all women share in all the same struggles. While there are certainly common obstacles that women face, there are also specific obstacles that lesbian women, Indigenous women, working-class women, e.g., face. For all of us, race, class, immigration status, and sexual orientation are linked to our gendered experience; there is not a way for us to live a complete life without the intersection of all our identities. There are layers to womanhood that extend beyond biology. If we are serious about the liberation of all women, we need to recognize that all women experience life through an intersection of identities. How do I avoid the trap of only uplifting those whose lives resemble my own? Is my idea of womanhood inclusive and open to all women? When we celebrate BVM and Franciscan Foundresses Mary Frances Clarke and Mother Xavier Termehr, are we also celebrating Sojourner Truth, Ida B. Wells, or Harriet Tubman? Are we taking time to learn about the stories of Indigenous women, such as Winona LaDuke (environmental activist) or Wilma Mankiller (first woman elected Cherokee chief), LGBTQ women like Audre Lorde (writer) or Lorraine Hansberry (playwright), or disabled women like Alice Wong (disability rights activist) or Stella Young (journalist)? I challenge you to take time to reflect and envision ways that we all can better appreciate and celebrate women in ways that highlight the complexity and variety of womanhood. About the author: Krissy Juarez is the social justice coordinator for the Sisters of Charity of the Blessed Virgin Mary and the Sisters of St. Francis in Dubuque, Iowa. Thanks, Krissy, for challenging me to think and feel more broadly. A good challenge and not just for the month of March.